Members of The Church of Jesus Christ of Latter-day Saints revere the Book of Mormon as a sacred volume of scripture that is comparable to the Holy Bible. The Book of Mormon is not intended to replace the Bible, but rather its teachings enhance those doctrines and principles that are taught in the Bible. Latter-day Saints testify that the Book is exactly as its name declares, Another Testament of Jesus Christ. Therefore, they further testify that both the Bible and the Book of Mormon together present to the world an irrefutable testimony of the Divine Redeemer and Savior of the World, and the immensity of His love for all mankind. In 2014, three returned missionaries of The Church of Jesus Christ of Latter-day Saints – Kyson Kidd, Jacob Justice and Jake Christensen – set out on a mission to find an answer to that question. The culmination of their quest which was dubbed “The Book of Mormon Project” was the creation of a 5:08 video called “What is the Book of Mormon?” The video was published on YouTube on 1 January 2015, and has already received over 33,000 views in its first week online. The motivation behind their mission was their own personal testimonies of the Book of Mormon and their desire that people everywhere would have the opportunity to read the book for themselves. Christensen who is from Eagle, Idaho, originally came up with the idea to create the video after wanting to share a video about the Book of Mormon with his friends on Facebook. In searching for a video to share he discovered that a majority of the videos found in the top searches on YouTube were about the satirical Broadway musical “The Book of Mormon” and decided that something had to be done. It’s such an important book, and it’s made such a huge difference in my life. The more I’ve read it, the more I’ve honestly grown closer to Christ … and I have become such a happier person because of the Book of Mormon, and I just want everyone to have that. Christensen further notes that with all the technology that we have available to use, members of The Church of Jesus Christ of Latter-day Saints have an even greater responsibility today to share the Book of Mormon than ever before. If people could really understand what the Book of Mormon is, they would cherish that book like their lives depended on it. That’s what we’re hoping to do with this video is ignite the spark of the importance of the Book of Mormon so both members and nonmembers will have more of a desire to read it. On 19 August 2014, Elder David A. Bednar of the Quorum of the Twelve Apostles delivered a message during Campus Education Week at Brigham Young University in Provo, Utah, titled “To Sweep the Earth as with a Flood” in which he encouraged members to “flood the earth” with gospel messages on social media. Albeit “The Book of Mormon Project” was begun before Elder Bednar’s address was given, Christensen, Kidd, and Justice were excited to hear his message because they knew that it would help their video to succeed. As a result of Elder Bednar’s message, they believe that now, more than ever, members are willing to share gospel messages online. 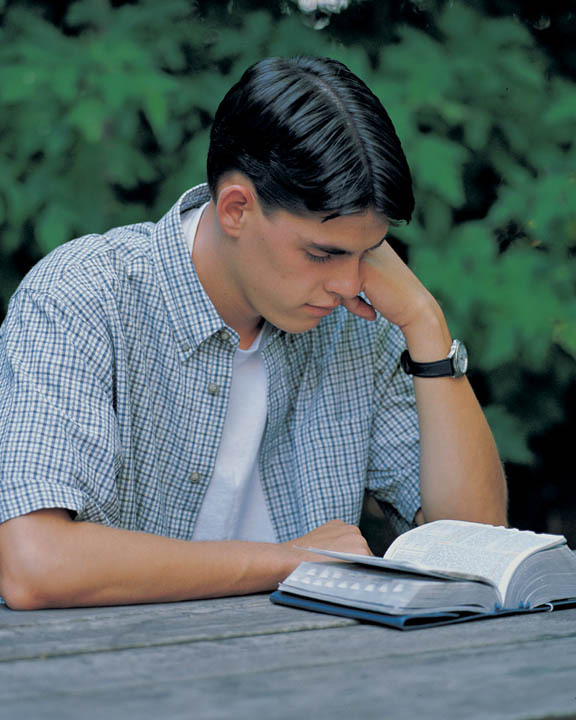 Sharing the Book of Mormon with others is an excellent missionary tool and a great way to share the gospel. As we do so, we not only bless the lives of others, but we are also blessed because of our efforts to do the work that the Lord has commanded us to do. Therefore, not only do we help others to draw closer to Christ, but we ourselves are drawn closer to Christ. Behold, I would exhort you that when ye shall read these things, if it be wisdom in God that ye should read them, that ye would remember how merciful the Lord hath been unto the children of men, from the creation of Adam even down until the time that ye shall receive these things, and ponder it in your hearts (Moroni 10:3).